Classic Swiss Screw Machining meets the latest and best in CNC technology. 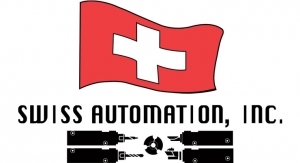 Swiss Automation offers contract manufacturing of custom components made on one of our 133+ high-tech CNC machines. Able to machine up to 2 3/4" diameter and tolerances to +/- .0001, Swiss Automation is your solution for precision and quality when you need it most. 3D printing also available.